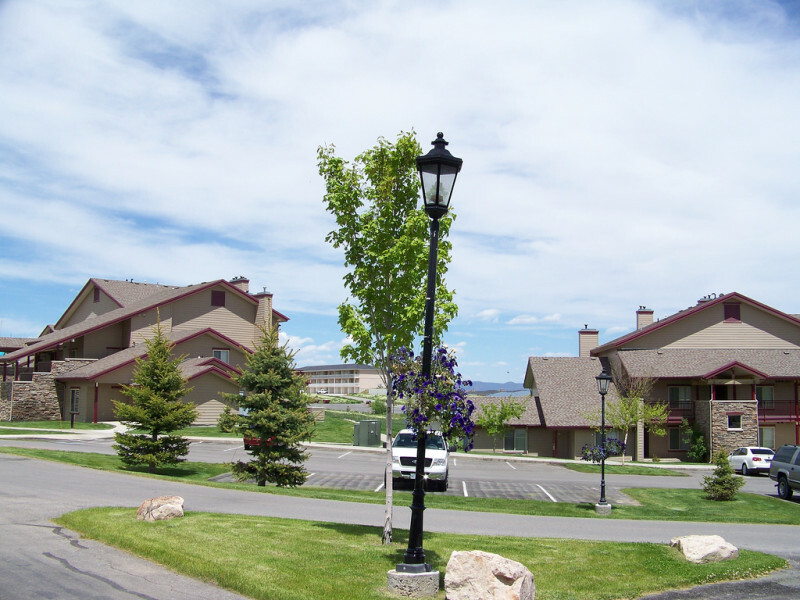 Bear Lake is a summer paradise perfect for your next family vacation. 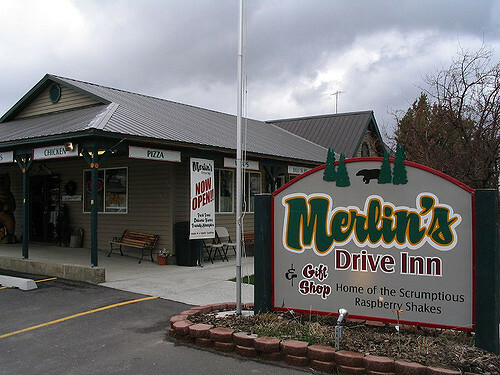 Vacationers enjoy incredible scenic views, access to thrilling water activities and a Raspberry shake that will satisfy your sweet tooth after a long day of hanging out at the lake. It's a vacation spot like no other. As summer is rapidly approaching, many Americans are trying to figure out where they should spend their upcoming family vacation. While a big city is always a fun time, maybe this is the year you want to mellow out and have a relaxing trip with the family. You probably want to go somewhere that’s warm, with plenty of activities. A place where you can enjoy nature and gorgeous views that will knock your socks off. I have just the place for you, Bear Lake. Bear Lake is a natural freshwater lake that was formed by fault subsidence over 250,000 years ago. The fault subsidence causes the lake to become deeper and deeper on the eastern side. 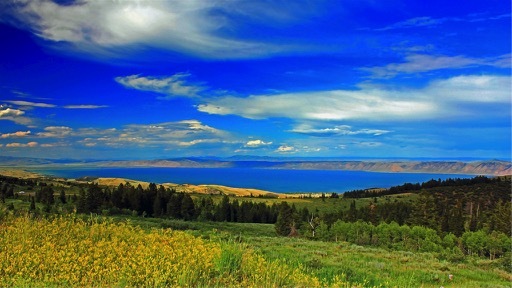 Bear Lake is located on the border of Utah and Idaho, just 40 miles north of Logan, Utah. The lake is 109 square miles and has a beautiful turquoise color, due to suspended limestone in the water. Get ready for one of the most relaxing vacations you’ll ever take, as you sit lakeside in a beach chair surrounded by extraordinary views of the mountains, while the warm summer breeze brushes over you. Bear Lake is a place like no other, with plenty of hikes and water sports to keep you entertained, as well as a golf course that overlooks the lake and the mountains. On second thought, why not bring a few books and lay out on the sand, while you enjoy the fresh air and peace and quiet. 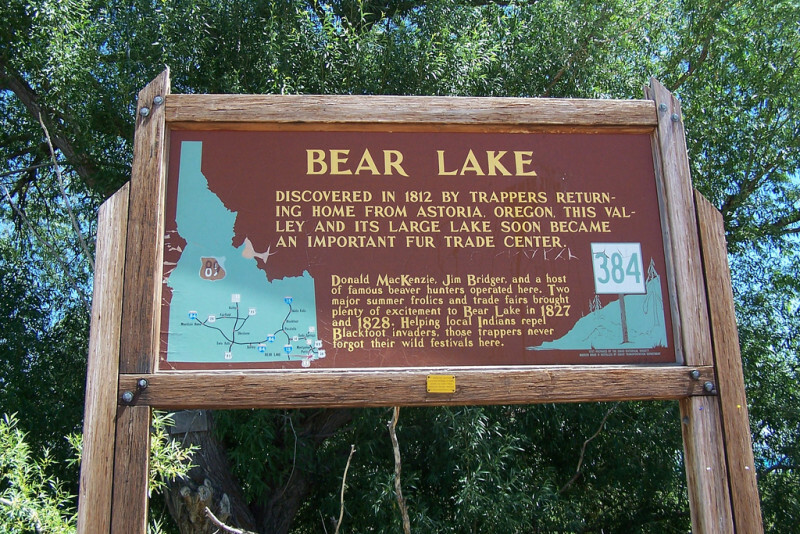 Donald Mackenzie, an explorer for the North West Fur Company, discovered Bear Lake in 1819. He originally named it “Black Bear Lake,” but the name was later changed to Bear Lake. The Shoshone tribes were the first people to live in Bear Lake, although many Native Americans were already familiar with the territory. After the Shoshone tribes, Bear Lake was called home by a number of different pioneers, including Jedediah Smith and Jim Bridger, as well as Mormon pioneers. The Mormon pioneers eventually kept traveling south and created villages along the lake’s shore in Garden City, Pickleville and Laketown. It wasn’t until 1970 that Bear Lake became the hot vacation destination that it is today. Now many cabins and homes, owned by Bear Lake residents and water sport enthusiasts, surround the glistening lake. Bear Lake has become famous for the abundance of raspberry crops that surround the town. The best time to taste the fresh raspberries in Bear Lake are usually between the last 2 weeks in July and the first 2 weeks in August. There is even an annual Raspberry Days festival in Garden City, UT, that happens during the first 2 weeks in August, to celebrate the raspberry harvest. The Raspberries Days festival brings thousands of people from different parts of the world and includes activities such as, rodeos, parades, fireworks, dances, raspberry recipe cook-offs, concerts and much more. 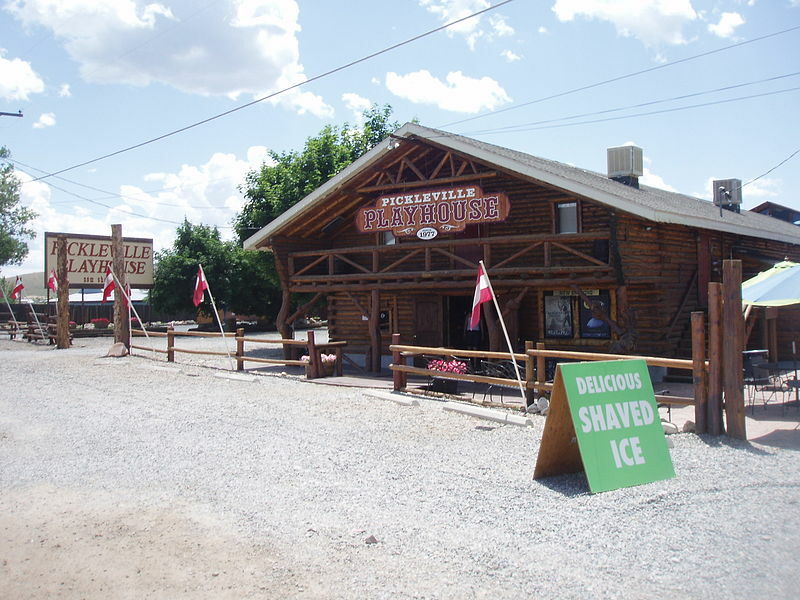 The Pickleville Playhouse is a small musical theater located in Garden City, Utah that was founded by LeGrande and Betty Larson in June 1977. LeGrande and Betty wanted to build a theater that would bring generations together and put on wholesome family entertainment for Bear Lake residents and visitors. The entire Larson family built the theater, with little help from construction experts. LeGrande and Betty purchased the seats for their playhouse from the Capitol Theatre in Salt Lake City. They weren’t allowed to get the seats from the Capitol Theatre until each worker had left for the night, so the entire family would drive 2 hours in the middle of the night and collect as many seats as they could, before returning back to Bear Lake that same night. The process was repeated until they had acquired all 320 chairs. The original seats are still used in the theatre today. When the Pickleville Playhouse first opened, the Larsen family and a number of other actors would perform for a small audience. The back half of the theatre was rarely filled during the early performances at the playhouse, but as word spread around, more and more people came to the theatre on a regular basis. Today the theater holds sold out performances between mid-June to early September. Make this summer relaxing and unforgettable. Whether you stay for 1 week or 2, you will have a hard time leaving this beautiful vacation destination. When you do leave Bear Lake, you are sure to have one question on your mind, when can I come back?